A recent visit to Utah County left me encouraged about the number of new, enticing and independent restaurants in Happy Valley. Among them is Communal, in Provo, a new venture by the owners of Pizzeria 712. However, I was looking for a lunch spot and Communal wasn’t open yet, so I strolled across the street to Rooster Dumpling & Noodle Bar. 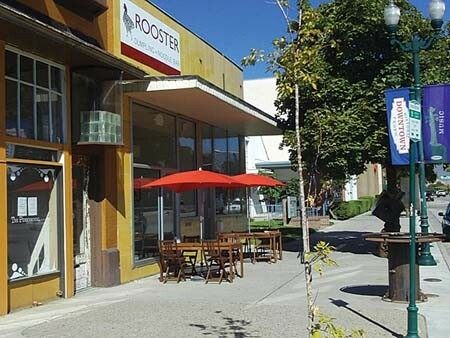 Rooster is run by Andy and Simi Gartz, the couple also behind Dew restaurant, which is currently undergoing renovation. On the day I visited, Simi was waiting on tables and both she and Andy were making fresh dumplings. When I asked Andy—who has a business degree from the University of Chicago—how he got into the food biz, he related a funny story about how, during college, he and a friend blew their student loans eating at great Chicago restaurants like Charlie Trotter’s and Rick Bayless’ eateries. 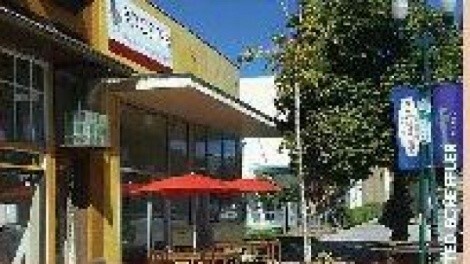 Rooster is a small, modern restaurant that’s a natural place for people to mix-and-mingle with friends. The menu is eclectic, featuring Chinese-style dumplings as well as items such as a red curry pulled-pork sandwich, chicken and shiitake rice bowl, Hong Kong shrimp wonton noodle soup and a zippy, stirfried curry noodle-and-shrimp dish, which I ordered. The curried noodles were excellent, as were the shrimp, veggie and pork dumplings I sampled.